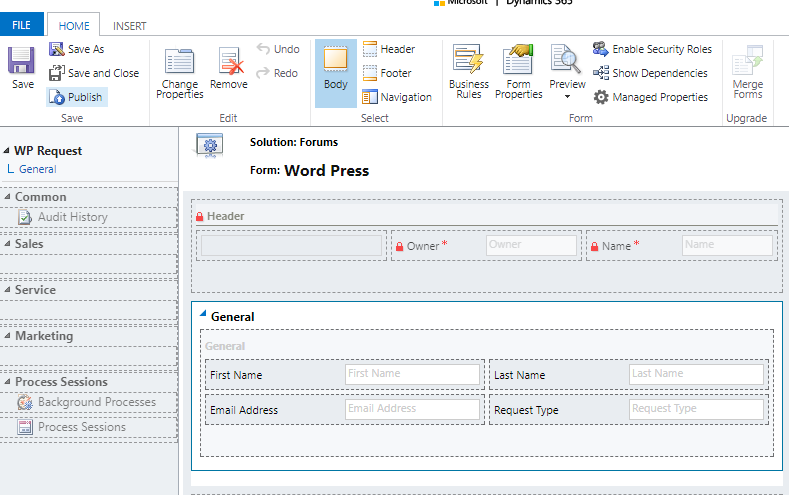 This blog is running on WordPress, and would not it be nice if I were able to somehow integrate WordPress with Dynamics? Well, actually I don’t have my own instance of Dynamics to start with, so it would be nice if Microsoft was offering some sort of development instances in the first place(is Salesforce offering them, still? ), but, hypothetically.. Besides, I might not be the only one using WordPress, and, so, if there was this kind of solution, it might be of some interest to others as well. The layout is not exactly the same that I have in Dynamics. But, at least, all the fields are there. Well, in a nutshell, it was really a quick and easy setup. However, I have not tried anything more complex so far – there are two versions of this plugin(premium and free). In the premium version, it seems to be possible to define your own templates, for example.. Which probably means I can set up something more advanced.. I might probably display a service schedule as a view and allow web site visitors to click some links there.. so that they would be presented with a form to fill in. Those templates don’t seem to be available in the free edition, though, and the pricing starts at $45 per month for the basic premium version. If you did happen to use those advanced features, I’d really like to see how far you were able to take this integration. However, what if we could extend/override the Xrm itself, and what if we did not have to modify any of the files for that? For example, in the Xrm library we have form controls(control objects). They are all of different types (date time, grid, text, optionset, etc), but, within each type, they are sharing the same set of methods which you can officially use to work with the controls. Now every piece of the out of the box or custom code that’s using setDisabled will be calling your own version of the setDisabled. You’ll do what you want in your own function to see if the control should be locked/unlocked, and, then, you will call the original setDisabled with an updated parameter value to finally lock/unlock the control. Do the same with setVisible, and, out of a sudden, you can build your own engine which is completely integrated with the Xrm library. Can it break? Not very likely, since setDisabled/getDisabled are two of those methods which are fully supported, and, as long as those two methods are there, this kind of solution will keep working. 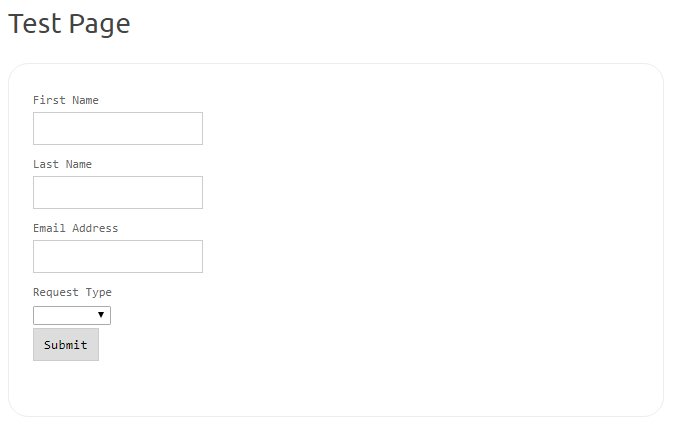 On the left side is what you would have to do if you wanted to hide all the fields in the company profile section on the out of the box Account form. There are only 5 fields there; however, when using a business rule, you have to do lock/unlock, so you have to add two actions per field to the business rule. This kind of business rule will quickly become rather complicated if the number of fields turns 10.. or 15.. or 20. From here, you can focus on the configuration of the rules – all the preparations have been done. So, now, you just need to add onChange actions and, also, settings. That’s it. If you want, you can add additional elements to the onChangeActions array, and you can add additional elements to the settings array. How would you go about setting up readonly/visibility rules for a form that has lots of sections, tabs, and fields? Where the rules can change any time depending on what your users think today? Where one rule can affect another? And where each rule may affect multiple fields, but that set of fields can change from time to time (and, probably, more often than you were told)? Both are legitimate solutions. However, if I don’t like anything about the business rules is that they are too granular. 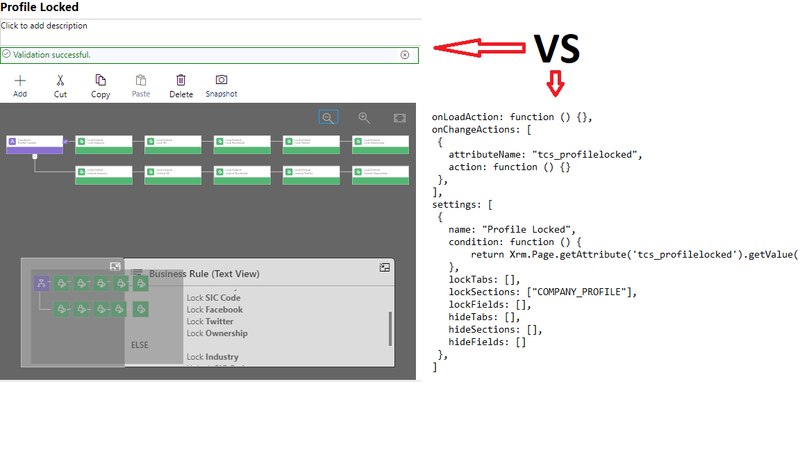 You have to lock fields one after another, you have to define conditions one after another.. Sure you can set everything up, but, from the maintenance standpoint, it is not easy to maintain and modify those rules once the reach some level of complexity. To start with, I’m not a professional front-end developer. I will do something every now and then, but for the most part, I’ll be configuring Dynamics, writing plugins, talking to the users.. you get the picture – it’s called Dynamics consulting. However, we all need to be somewhat up to date on the front-end development side, at least so we were able to tell what’s doable and what’s not. Yes, just like that. Everything else will be stripped of. I mentioned I’m not a front-end developer, so I don’t develop full-blown html web resources too often, and, even when I do, I don’t do it with Angular (up until now). 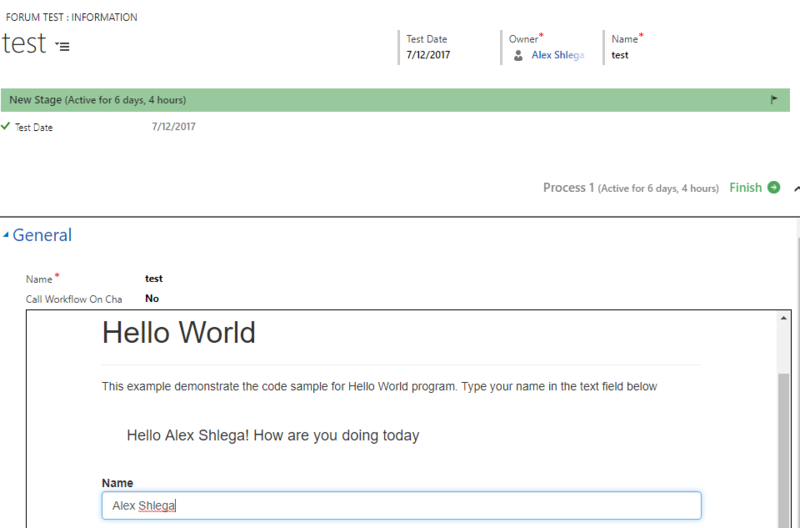 So it took me a little while to recall this interesting bug/feature of the web resource text editor that comes with Dynamics. 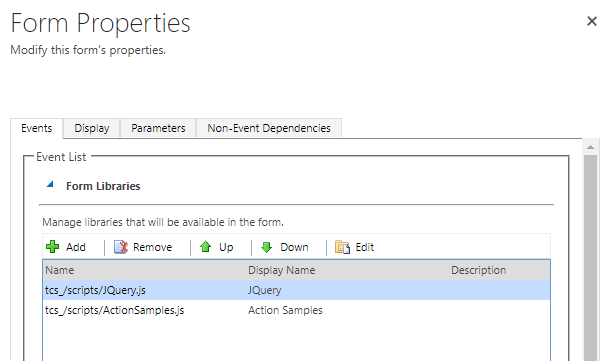 It’s relatively simple to call custom actions with Web API, and it’s also relatively simple to display an error that may occur in the custom action. You just need to know how to do it. 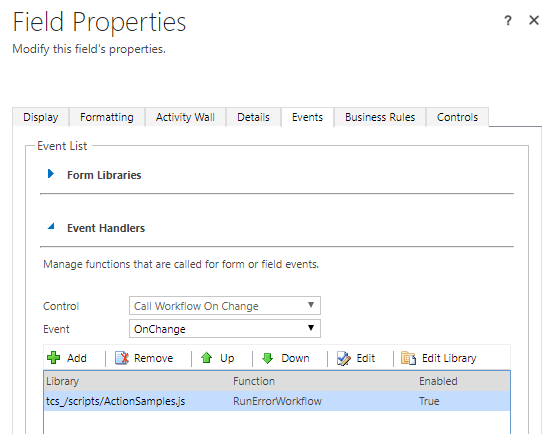 You will need to modify RunErrorWorkflow function so it would be using correct entity name and correct action name. That’s it. If you want to change the message, just go back to the custom action, deactivate it, update properties of the “stop workflow” step, and activate the action again. 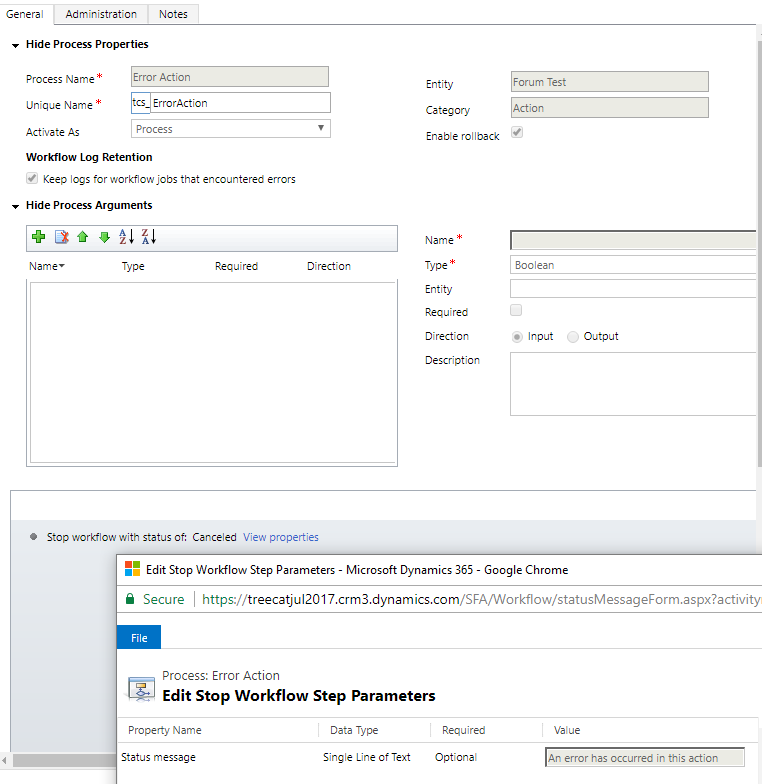 This is a continuation of the original Quick Find on Your Terms post – I am going to walk you through the configuration steps using the scenario described in that original post. If we were able to replace whatever query Quick Find is using with this FetchXml so that #keyword# was also replaced with the search test.. Quick Find would work just the way we wanted it to work. Then paste your Fetch Xml into the Fetch Xml field. 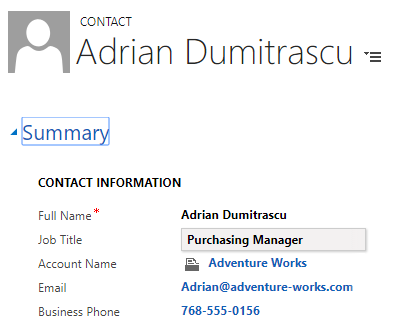 That’s it – you can, now, go to the list of Contacts in Dynamics and try your new Quick Find functionality. There is a known bug in the 1.0.0.5 version of the TCS Tools: you won’t be able to order Quick Find search results by clicking on the column header. That’s not a platform limitation, but I need to change a few things in the plugin to make it work, so that’ll be v 1.0.0.6 I guess. Update(Jul 26, 2017): you can download v1.0.0.6 now – sorting should be working there (or in whatever later version that’s available when you are reading this). What would you choose if you were given an option to use SQL or FetchXml to run a query? I’m sure that 99.9% of us would go with SQL in that situation since FetchXml tends to limit what we can do. However, FetchXml is, actually, more powerful than you would think if you simply continued to use “Download FetchXml” option in the advanced find. However, both of those are exclusively Advanced Find limitations. FetchXml is perfectly capable of handling either of those. 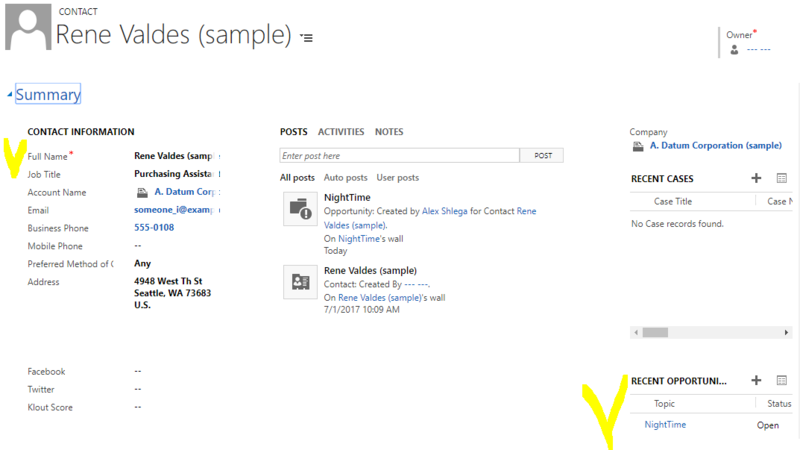 That’s exactly why Dynamics will be displaying one row per account in the results. Even if there are multiple contacts linked to that account through the parentcustomerid field. Replace that part of FetchXml with distinct=”false”, and you’ll get multiple rows. Of course you can’t do it in the Advanced Find, but.. you can use XrmToolBox to update a saved view, or you can do it in the report. Point being, it’s not a FetchXml limitation at all. And what about those outer joins? Notice how I’ve added link-type=”outer” to the link-entity. And, also, notice how I moved the filter from the link-entity section up to the main entity. 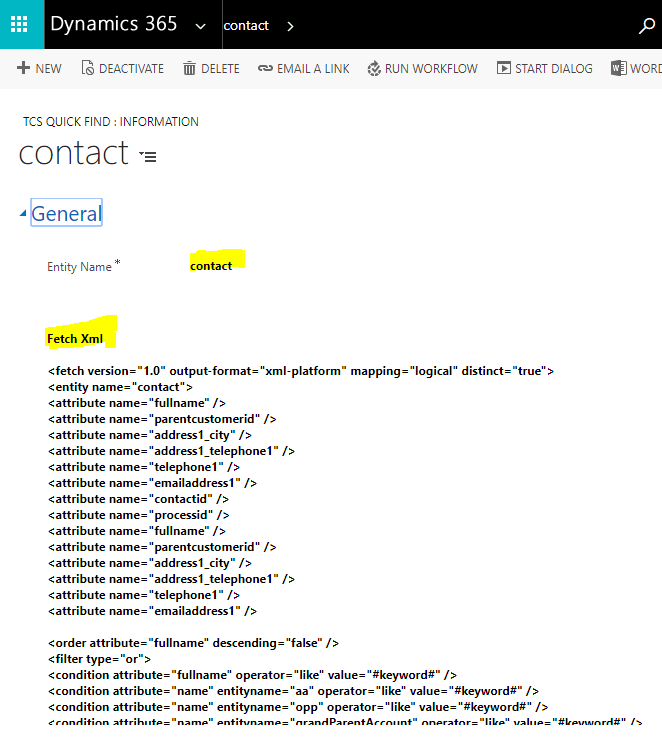 The first change turned this whole query into an outer join. If I did not move the filter, that would produce a list of all accounts then (an outer join does not require a related record to be there). If I removed the filter completely, I would still be getting all accounts. However, since I moved the filter, and since I’m using entityname in the condition now, I can apply that condition to the entity joined through the “outer” join. Which basically turns the whole thing into the same original query – I will only see the accounts which have contacts with the fullname like “%Test%”. I can keep adding those outer joins and related conditions. This time, my FetchXml will return all accounts where there is a contact with the fullname like “%Test$” linked to that account OR if that account has a primary contact with the fullname like “%Main%”. What’s all that about doing Quick Find on your terms? And, so, you are not, really, able to do the Quick Find on the related entities. 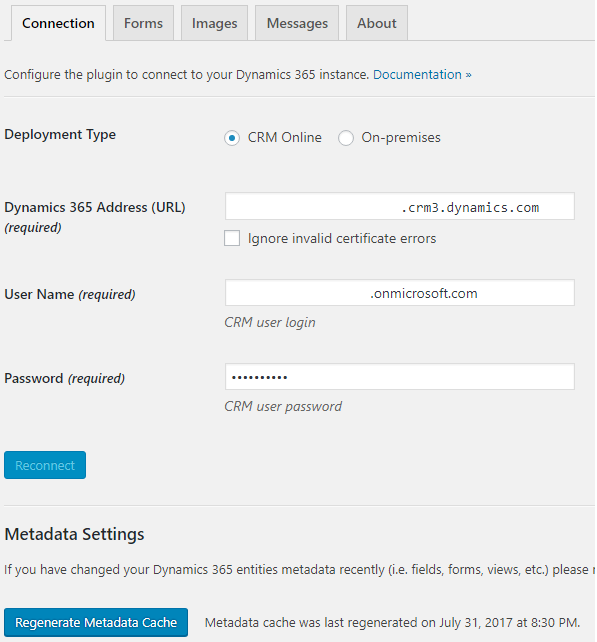 Now, would not it be nice if you got this response from Dynamics instead? This is what it’s all about – we want to find what we need to find, not what the system is able to find. And you can easily achieve this if you install TCS Tools for Dynamics and use it to configure the Quick Find. Let’s start with the end result. I want to find all contacts which have the keyword “night” in either the full name, or in the linked opportunity title, or in the name of the account that is a parent account for the contact’s account (sounds complicated.. well, it’s really just a grand-parent account for the contact). Dynamics will search for that keyword in the contacts, and it will also search for that keyword in the parent account names, so I will, actually, see one of the contacts (Summer Knight). BUT I won’t see the other two (Adrian Dumitrascu and Rene Valdes are missing from the list). I got Rene there, I got Adrian.. and, somehow, I also got Ryan Gregg. 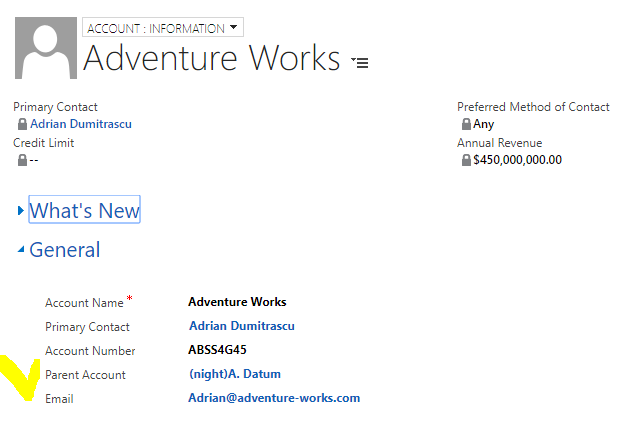 But hey, that’s because Adrian has the same parent account as Adrian (which is Adventure Works.. and that account has a parent account which has “night” keyword in the title!). Yeay, it’s working!